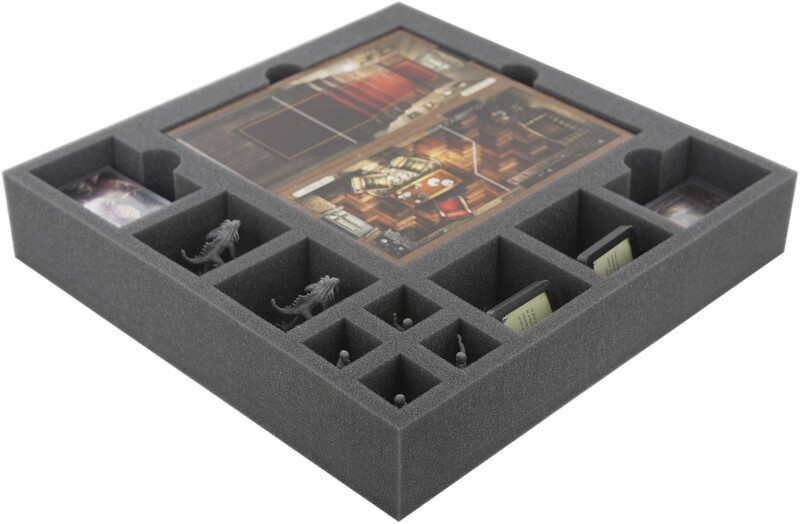 Foam tray especially for Mansions of Madness. 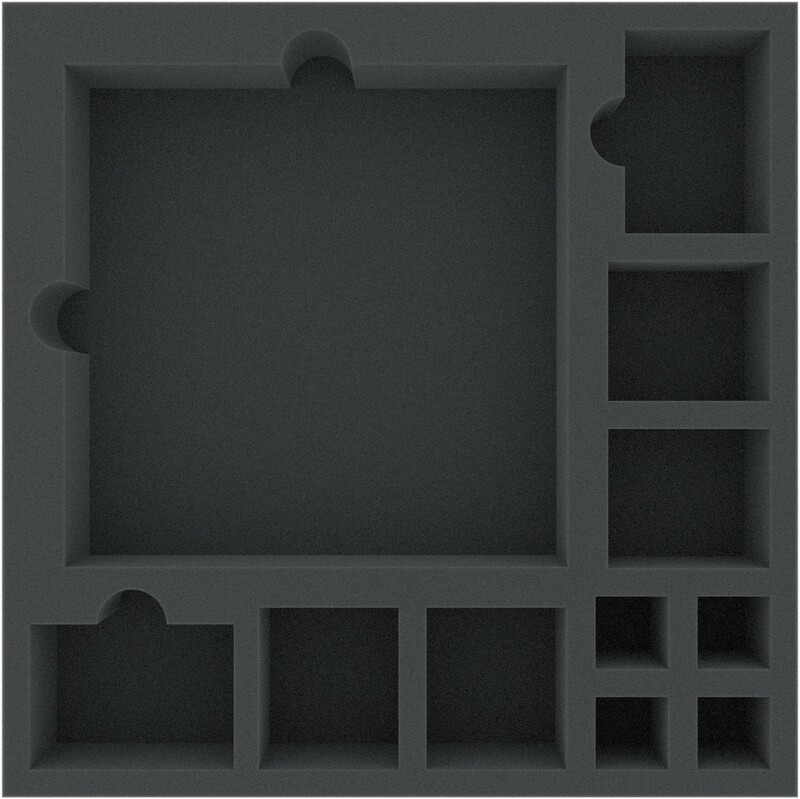 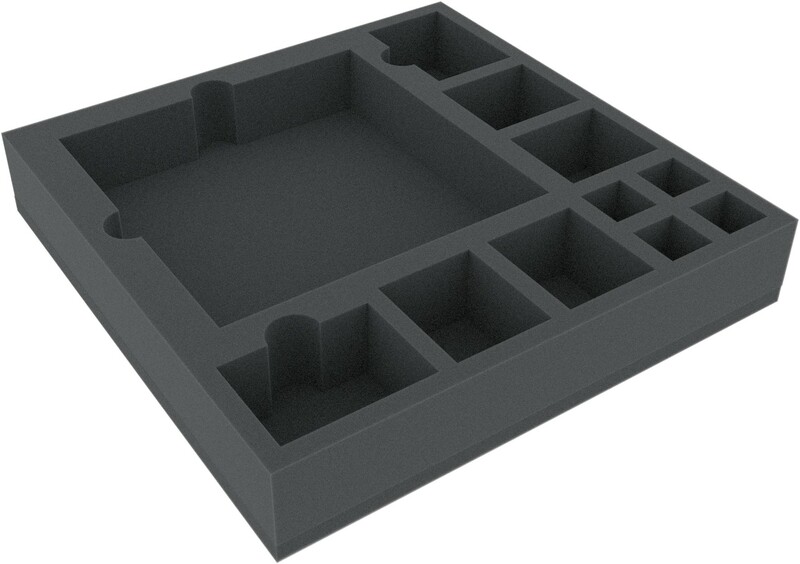 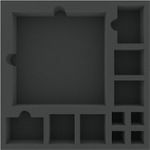 The 11 different sized compartments are perfect for the expansion Beyond the Threshold OR board game tiles from die core game. 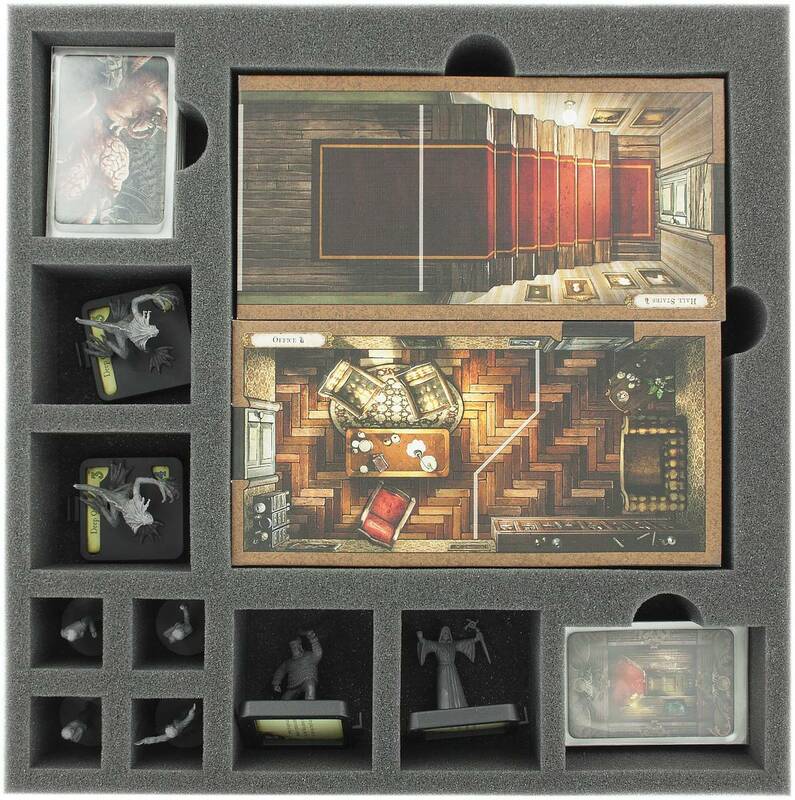 Fits in the original Mansions of Madness core game box and also in the Feldherr LBBG250.